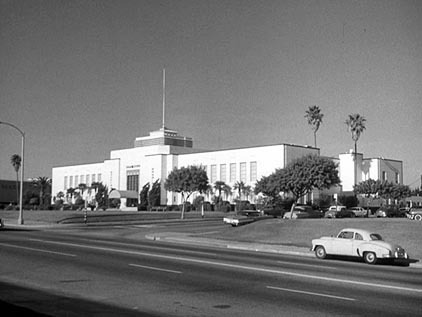 The courthouse seen in this episode is actually the Santa Monica city hall. 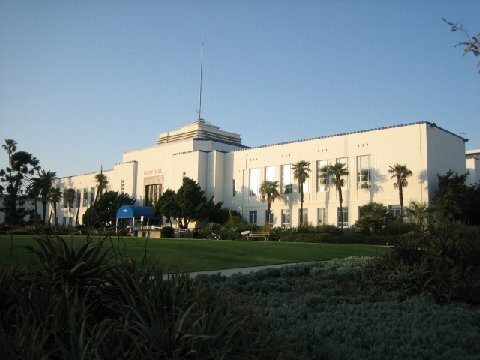 It was built in 1938. As briefly seen in the episode. As seen in 2009 courtesy Eric Cooper.